Maybe you are in the US and wondering where to go on your next family trip. Or maybe you are with me here in Europe and are thinking about how to budget for your next weekend getaway. Either way, I want to hear from you. Where are you looking at heading that you want some info on. Alternatively, what do you need help with in your travel planning experiences? Shout it out in the comments so that I can give you a hand! No matter what kind of traveler you are, this month’s giveaway is going to help you out!!! We are doing it just a tad bit differently, but different is fun! Most of you already know that I am SUPER pumped about my first E-book, So You Got Stationed Overseas: Why you NEED to make TRAVEL a part of your short PCS abroad that is in pre-sale right now until February 8th. Yes, this is specifically for military members looking at an overseas PCS or already living in Europe. There is tons of military- specific information, discounts resources. Can anyone else looking to learn HOW to travel to Europe read it? SURE! You are still going to find loads of tips and tricks, ACTIONABLE advice for your next trip, my favorite resources, ideas and ways to learn HOW to plan a trip from start to finish, downloadable resources and more but just know that some of the information is geared towards a military audience living abroad. That just means you can skim over a few sections here and there. Want to learn the basics of travel hacking? Sweet. Want to get some ideas for where to go in Europe this summer? I got ya covered! Want me to help get you STARTED on a planning process? No problem! 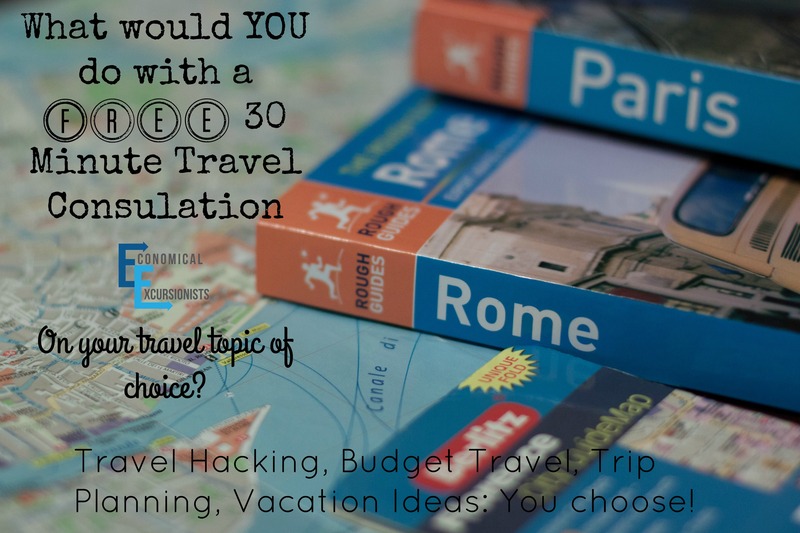 You’ll receive a completely personalized 30 minute session of your topic of choice to help you with your travel needs. 1) Using the Rafflecopter below, you must purchase the book in order to entered to win this giveaway. Input your email so that I can confirm your purchase. Are Your Stationed in Europe? Facing an OCONUS PCS? Free Hotel Night in Boleslawiec Poland Are Free Flights Possible? A Beginner’s Guide to Travel Hacking Travel Hacking for Beginners: What’s the point? LeAnna’s blogs has helped me find some awesome ideas for traveling! Can’t wait to read the book. Thanks, Megan! We love knowing that we are helping others find the joys in travel! Hope you enjoy the book as much as you do the blog!! I’m arriving in Europe this summer and don’t want to waste a single weekend by sitting in TLF when I could have been traveling! That’s the spirit!! You’ll do great w/ that attitude! Great post. Very lucky to to read this post. This book seems awesome! Keep up the great work, LeAnna! 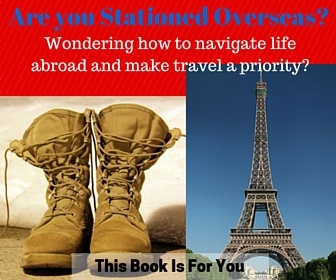 ← Are Your Stationed in Europe? Facing an OCONUS PCS?